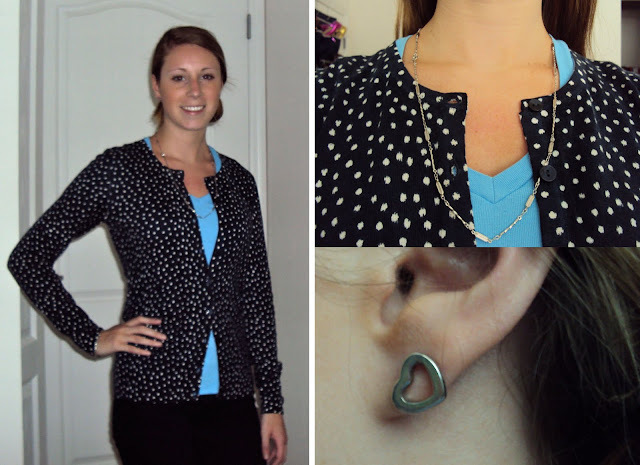 My mom randomly sends me gifts every now and then, I think because she misses me :) She recently sent me this gorgeous ann taylor cardigan, but when I looked at what it was made of I kind of freaked out because it is dry clean only (for a cardigan!?!?) and it is cashmere (which I don't know how to care for - hence most likely why it is dry clean only). Also the price tag was hefty for a freakin' cardigan. Mom assured me she got it on sale (although for how much, I will never know) so I just took the cardigan and I didn't want to kick a gift horse in the mouth so I kept my mouth shut about the price. 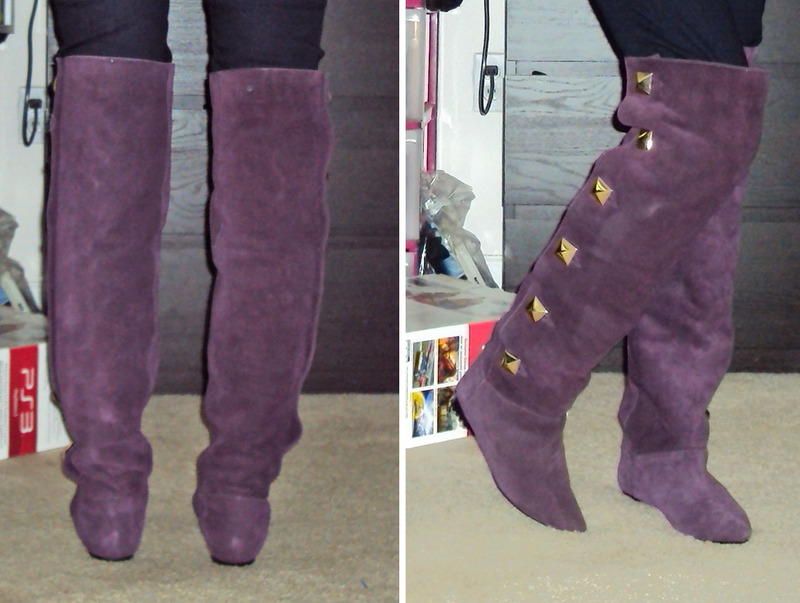 In other news, I had been lusting after this crazy pair of boots for MONTHS. I distinctly remember sitting on my parent's couch after Christmas looking online, and almost purchasing these boots for 109 dollars, down from 270 *EDIT* down from $398 retail, and $270 on the yoox website. They were green suede and I had no idea how I would wear them but I knew I wanted them. For MONTHS I constantly checked the website (yoox.com) to see if they had gone down in price. They went down to 79 and I almost bought them. Then they went down to 69 and I almost bought them. Then I forgot about them for a few weeks. I checked back two weeks ago and they were down to 49 dollars, and they were sold out in the green that I wanted in my size! (sad face). 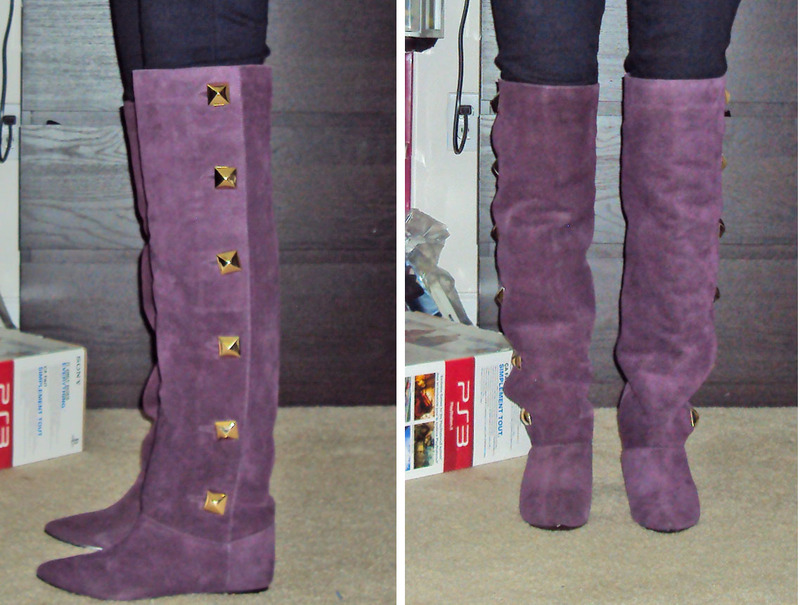 However, they did have a really pretty deep purple that I felt would probably go with more outfits anyways, so I took the plunge, and got them for 49 bucks with free shipping. They were final sale though, so I was stuck with whatever they looked like in person...here we go. Likes: 1. The quality. They are so well made and you can tell by the feel. Verdict: I have to keep them because they were final sale, but I don't feel so bad about it because for 50 bucks they were a steal (originally $398 - CAN YOU SAY AMAZING). Also, when I visit my parents this winter and go skiing in Vermont, I will make sure to bring them home with me and wear them every day so I get use out of them! And on the rare chance that it hits 50 or below in Miami, I will bust these babies out and hopefully look good when doing so. were the boots true to size? i'm think of buying them on yoox but they only have one that's a 1/2 size smaller in the color i want. my bf is allergic to giraffes.